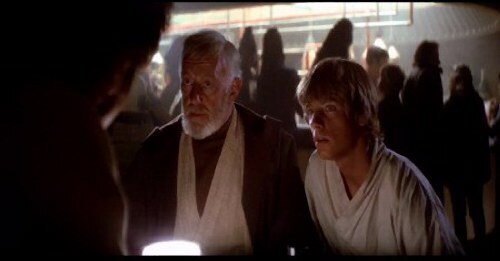 "We don't serve their kind"
"We don't want any trouble"
"Nice moves old man, very impresive"
"Han Solo, captain, blah blah..."
"Punk kid & old man? 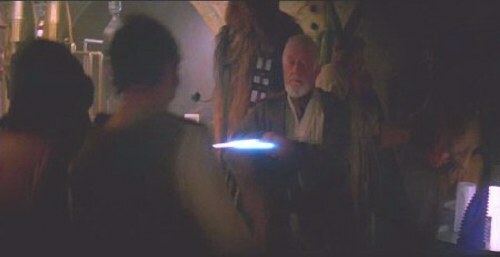 We'll check it out." 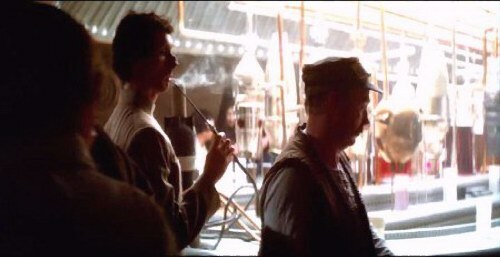 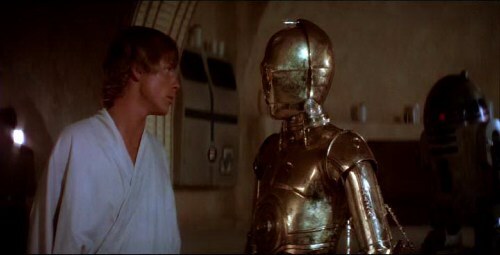 "Go change the oil & check the tire pressure"
the following is the original dialogue minus all the "Imperial blockade" and "even I get boarded sometime" lines which were borrowed from the Jabba scene. 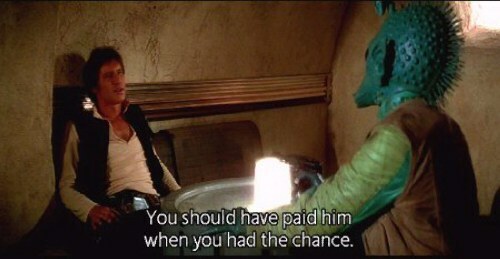 Since the Jabba scene got cut, Lucas used that dialogue here. 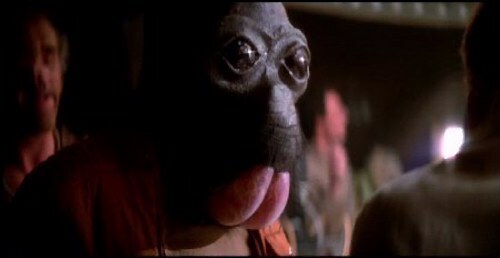 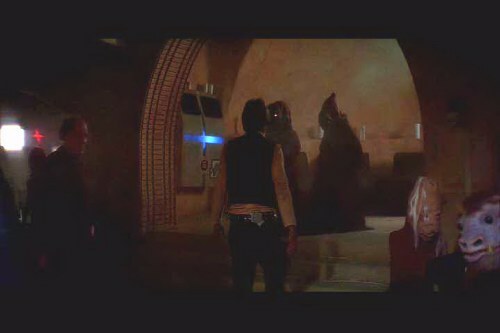 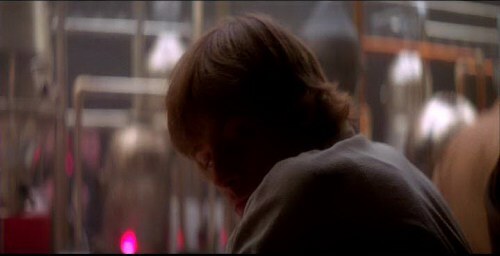 With the addition of the Jabba scene to the SE, I think they should go back to the original dialogue, so that we're not getting the same dialogue twice. 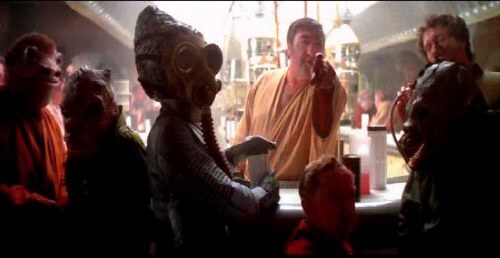 Greedo: "That's what you said yesterday, but its too late. 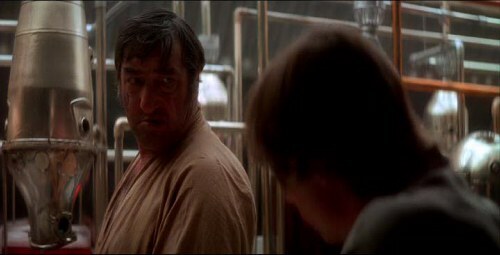 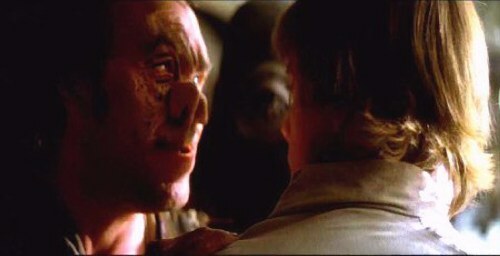 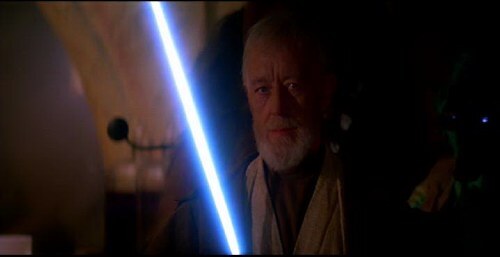 I'm not going back to Jabba with another one of your stories." 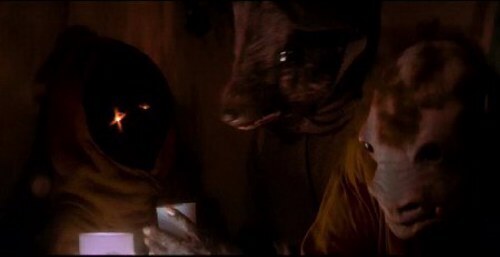 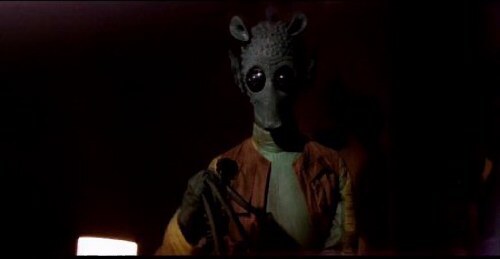 Han: "Yeah, but this time, I've got the money..."
Greedo: "Then I'll take it now..."
Han: "I don't have it on me, tell Jabba..."
Greedo: "It's too late, Jabba would rather have your ship." 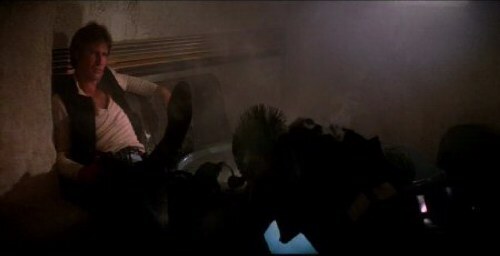 Han: "Over my dead body." 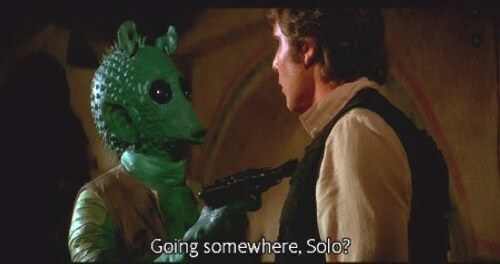 Greedo: "(laughs) That is the idea Solo. 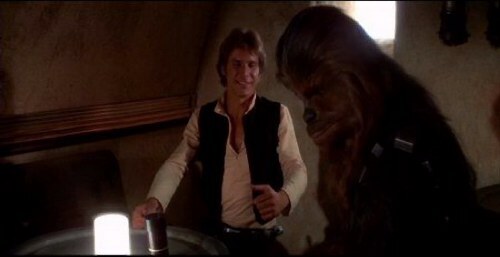 Now, you'll come outside with me or must I finish it here?" 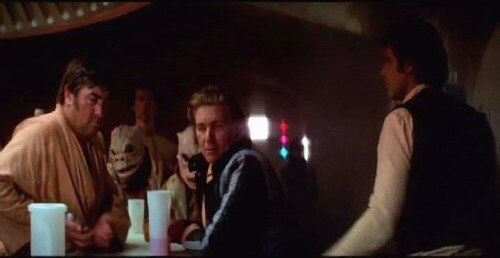 Han: "I don't think they'd like another killing in here." 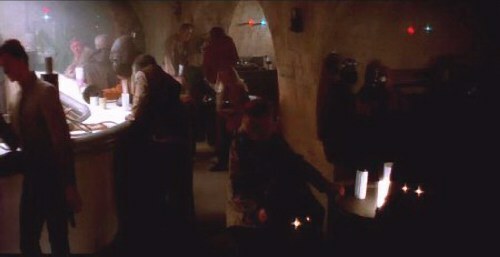 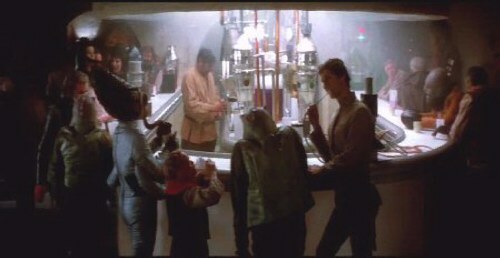 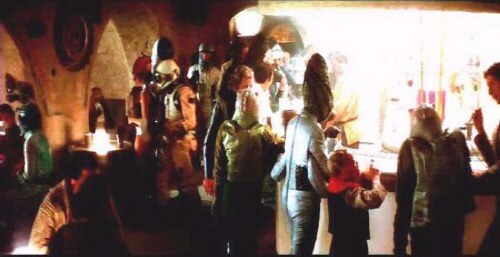 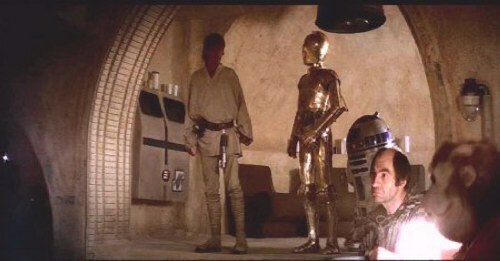 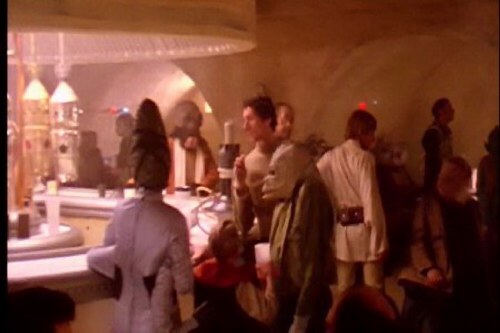 Greedo: "They'd hardly notice, get up... 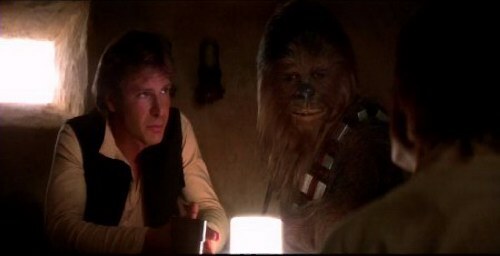 I've been waiting for this for a long time"
Han: "I bet you have..."
original scene HAN SHOOTS FIRST!! 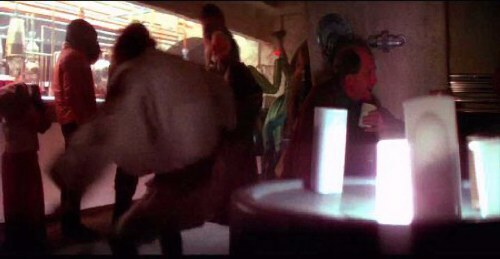 because Greedos whole intent was to kill Han, which I think was fully established by the dialogue.